Driver First Assist, a road safety initiative which seeks to reduce road fatalities through incident first-on-scene training has earned the support of The Faculty of Pre-Hospital Care (FPHC) of the Royal College of Surgeons of Edinburgh. Pre-Hospital Care is a branch of medicine provided by the ambulance service, doctors and nurses. 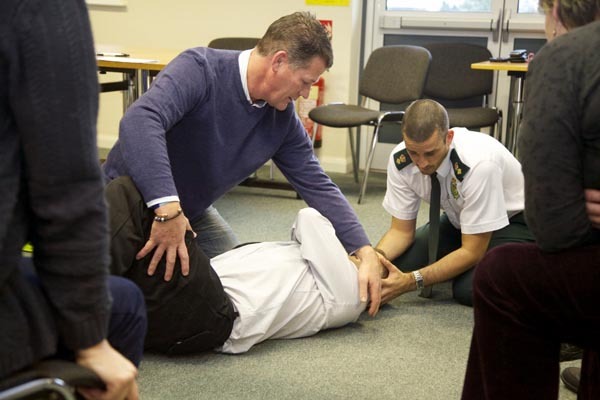 The aim of the FPHC is to unite the various groups involved in pre-hospital care and set and maintain clinical standards through promotion and education of the speciality. Dr Colville Laird, Chairman of the Faculty of Pre-Hospital Care explains why the faculty has chosen to lend its support to Driver First Assist: “Pre-hospital care is a vital part of managing the aftermath of an RTC and having DFA-trained volunteers to begin the care before the arrival of the ambulance could significantly increase the chance of survival of those critically injured. “We are pleased to be supporting the initiative. We believe it’s a revolutionary idea which has the potential to save the lives of many and assist our emergency services, with hundreds – and hopefully soon even thousands – of volunteers who are trained to provide an immediate response,” he added. Launched last year, Driver First Assist (DFA) is aiming to almost halve the number of deaths caused by road traffic collisions (RTCs) by training professional drivers to provide emergency first aid before the arrival of the emergency services. The DFA courses are run by current and recently retired members of the emergency services, who use their experience to teach participants how to manage the scene of an RTC in the first critical minutes. Statistics show that over half of RTC deaths occur before the arrival of the emergency services, a large number of which are caused by a blocked airway. Death from a blocked airway can occur in just four minutes, which is currently half the target response time for ambulances in the UK. DFA specifically targets professional drivers who are most likely to come across an RTC and are therefore best placed to help prevent road side deaths where an immediate or quick response is critical. Support for Driver First Assist is growing, with all three emergency services and both the current and shadow governments all backing the initiative.